"From the ancient Minoan traders in Crete 4,000 years ago to John Law and the Mississippi Bubble just 300 years ago, history is littered with thousands upon thousands of experiments with different types of money. Money that was deposited with banks paying an unfair rate of interest, money that was government backed by a promise, money that favoured the elite, or money that favoured a specific ideology or doctrine over others. These have all been tried and have failed over and over again. Yet no matter how many times these experiments take place, our natural states cause a reversion to the mean with respect to what we regard as money. 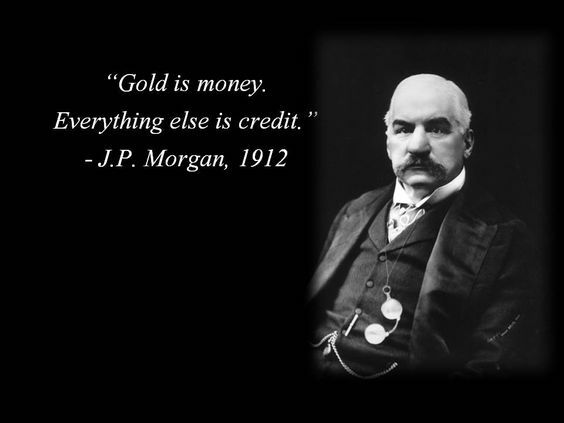 We seem to always rediscover the value of utilizing gold as a neutral global commodity medium and unit of account. I posit that this is a 'science thing' not an 'economic thing'."